Brain and spinal cord tumours are found in the tissue inside the skull or the bony spinal column which make up the central nervous system (CNS). A tumour is a mass of normal or abnormal cells that form a new growth or is present at birth (congenital). Tumours occur when genes that regulate cell growth become damaged or mutated, allowing cells to grow and divide out of control. When most normal cells grow old or get damaged, they die, and new cells take their place. Sometimes, this process goes wrong. New cells form when the body doesn’t need them, and old or damaged cells don’t die as they should. The buildup of extra cells often forms a mass of tissue called a growth or tumour. Tumours can form anywhere in the body. Depending on its type, a growing tumour can kill healthy cells or disrupt their function. It can move or press on sensitive tissue and block the flow of blood and other fluid, causing pain and inflammation. A tumour can also block the normal flow of electricity in the brain or nerve signaling to and from the brain. Some tumours cause no trouble at all. Brain tumours are classified as either benign (non cancerous) or malignant (cancerous). Brain tumours are also classified as either primary or metastatic. 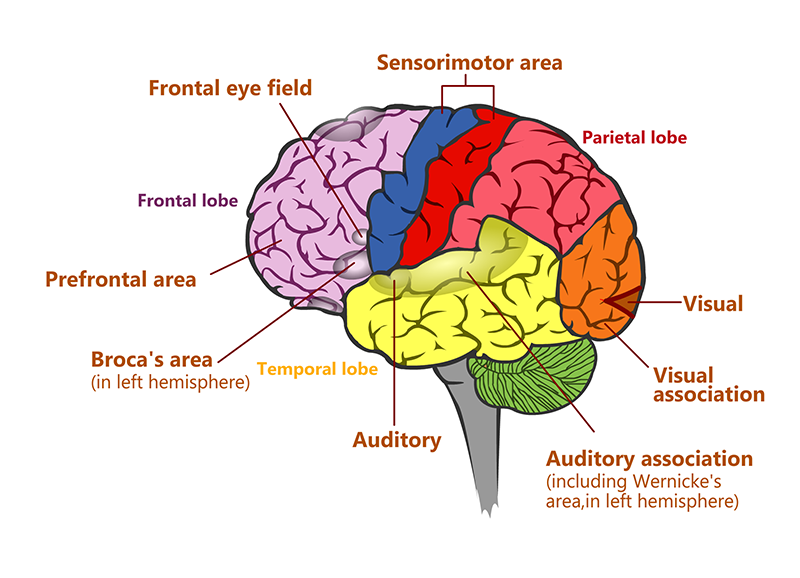 When a brain tumour originates in the brain it is referred to as a primary brain tumour. Metastatic brain tumours begin as cancer elsewhere in the body and then spread to the brain. Usually, benign tumours can be removed, and seldom grow back. Benign brain tumours usually have an obvious border or edge. Cells from benign tumours rarely invade tissues around them. They don’t spread to other parts of the body. However, benign tumours can press on sensitive areas of the brain and cause serious health problems. Benign brain tumours may become malignant. Malignant brain tumours are generally more serious and often are a threat to life. They are likely to grow rapidly and crowd or invade the nearby healthy brain tissue. Cancer cells may break away from malignant brain tumours and spread to other parts of the brain or to the spinal cord. They rarely spread to other parts of the body. There are many types of primary brain tumours. Primary brain tumours are named according to the type of cells or the part of the brain in which they begin. For example, most primary brain tumours begin in glial cells. This type of tumour is called a glioma. Astrocytoma: The tumour arises from star-shaped glial cells called astocytes. It can be any grade. In adults, an astrocytoma most often arises in the cerebrum. The most common type in adults is a glioblastomamultiforme and is the highest grade of brain tumour. Meningioma: The tumour arises in the meninges. It can be grade I, II, or III. It’s usually benign (grade I) and grows slowly. Oligodendroglioma: The tumour arises from cells that make the fatty substance that covers and protects nerves. It usually occurs in the cerebrum. It’s most common in middle-aged adults. It can be grade II or III. People with brain tumours have several treatment options. The options are surgery, radiation therapy, and chemotherapy. Many people get a combination of treatments. Surgery is the usual first treatment for most brain tumours. However, sometimes surgery isn’t possible. If the tumour is in the brain stem or certain other areas, the surgeon may not be able to remove the tumour without harming normal brain tissue. People who can’t have surgery usually receive radiation therapy or other treatment. Tumour location, size and type are considered when deciding the type of surgery to perform. Surgery to remove a lesion in the brain is called a Craniotomy. This is “open” brain surgery requiring removal of part of the skull bone to access the brain tissues. Minimally invasive brain surgery may also be an option depending on your particular circumstances. Minimally invasive surgery is performed with an endoscope through the nose (endonasal) or through a tiny incision above the eye in order to remove the brain tumour. The endoscope is a special lighted instrument that sends images back to a computer for the surgeon to view internal structures and enables the surgeon to use tiny instruments within the endoscope to remove the tumour. Removal or complete excision of the brain tumour if possible. Maximal safe resection of the brain tumour if not possible to remove, providing patients with malignant brain tumours a longer life expectancy. Biopsy of the brain tumour to achieve diagnosis and to guide further treatment such as tumour resection, chemotherapy, radiotherapy or to produce a tumour vaccine. The decision about what type of surgery the specific patient will benefit from will be assessed individually and each patient will receive the optimal treatment for his or her situation. Many types of brain tumours can be removed completely without the need for further treatment, whilst other tumours will need additional treatment. Radiotherapy can be utilised to eradicate remnant tumour cells after surgery. This can be administered via several techniques, such as; Gamma Knife, Linear Accelerator (LINAC), Image Guided Radiotherapy (IMGRT) or Proton Beam Therapy. Chemotherapy drugs, such as; Temozolamide, Vincristine, Carmustine (Gliadel ) or Bevacizumab ( Avastin ) are also used. Awake Craniotomy – Surgery may be performed whilst the patient is awake, but pain free and as comfortable as possible, if the tumour is closely related to critical brain structures to prevent a neurological deficit.